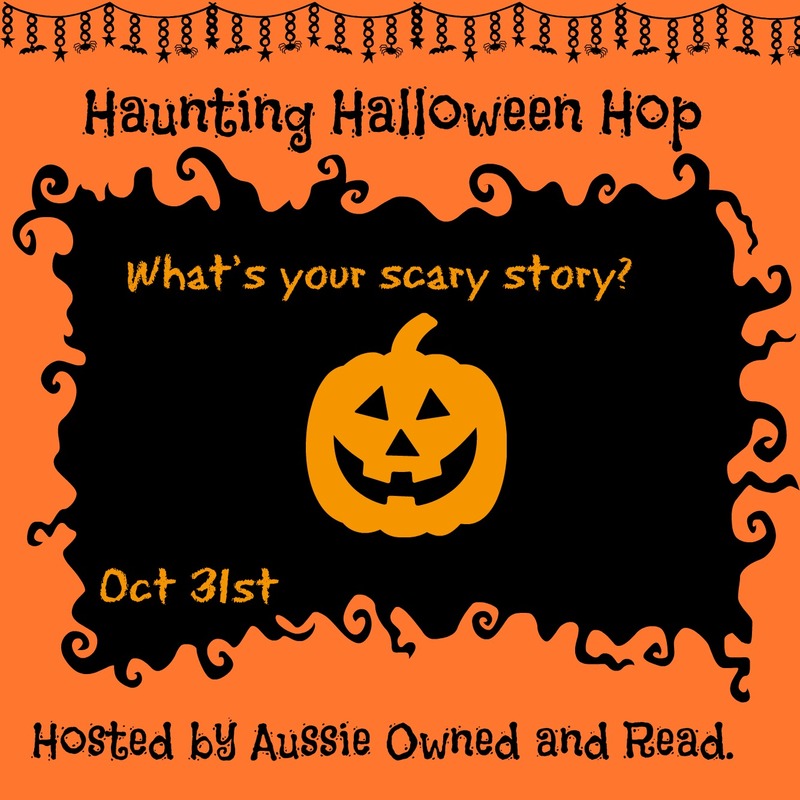 Welcome to the Haunting Halloween Hop, hosted by Aussie Owned and Read. To see what scares everyone else participating in this hop go HERE. I’m supposed to be talking about what makes me scared, but I couldn’t bring myself to post anything to do with spiders. I squeal at the sight of the eight legged monsters, and I think I would pass out if I had to even attempt inserting an image of a spider into this post. Instead, I’m going to talk about my favourite horror writer, and one of his scariest books. When I was in college, all I ever read were Stephen King books. I was his number one fan (but not Kathy Bates style). I remember The Shining gave me the heebie jeebies for weeks. It’s been on my re-read list for a very long time, and has been bumped to the top since the release of the sequel, Doctor Sleep, but I haven’t mustered the guts to actually pick it up and read it again. And the memory of Jack Nicholson in the movie scares me even more. The one thing that makes me feel better about the scare factor of this book is Joey. I might have to make room in my freezer when I finally convince myself that re-reading The Shining is a good idea. Some other SK books that rank as scary for me are Misery, Christine, and Pet Sematary. There are plenty more, but I would end up listing every book he ever wrote, and none of them have stayed with me quite as much as The Shining. What book has scared you so much that you'd need to make room in your freezer for it? Wait, there's a sequel?! I own a bunch of Stephen King books but the last one I bought was The Cell, and then there was a huge gap before that too.